The Government action comes close on the heels of the BJP losing power to the Congress in Madhya Pradesh, Rajasthan and Chhattisgarh in the recent state polls. The Government action comes close on the heels of the BJP losing power to the Congress in Madhya Pradesh, Rajasthan and Chhattisgarh in the recent state polls. It must be noted that the new governments in all these states have announced a farm loan waiver. Sources said several rounds of meetings have taken place at the highest level in the last few days to chalk out a plan to address difficulties faced by farmers in view of low realisation in several crops amid bumper production. Union Agriculture Minister Radha Mohan Singh has held talks with senior Cabinet colleagues. To provide immediate relief, one of the proposals being studied is to waive 4 % interest rate on farmers repaying farm loan within the due date. At present, they get short-term farm loan of up to Rs 3 lakh at 7 % interest rate. An additional incentive of 3 % is being given to farmers for prompt repayment. The Government has set a target to provide Rs 11 lakh crore credit to farmers in the current fiscal. It extended Rs 11.69 lakh crore credit to farmers last fiscal, surpassing the target of Rs 10 lakh crore. The Centre bears a cost of around Rs 15,000 crore annually for the interest subsidy of 2 % in normal cases and 5 % in case of prompt repayment of farm loans. Sources said that the interest burden could double to Rs 30,000 crore if the interest is completely waived for prompt repayment of farm loans. Besides, the government is contemplating tweaking Pradhan Mantri Fasal Bima Yojana (PMFBY) to bring down the farmers’ premium burden by fully waiving it on food crops and reducing a bit on horticultural crops. The PMFBY provides crop insurance from pre-sowing to post-harvest against non-preventable natural risks at an extremely low premium rate. The balance premium is paid equally by the Centre and state. Claims are settled on the basis of yield loss assessed at the end of the season. 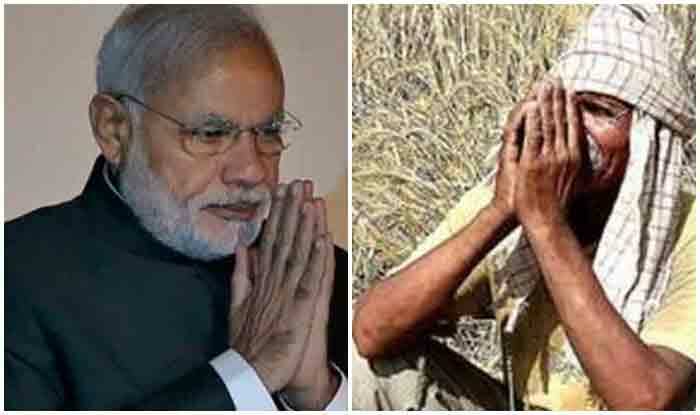 According to sources, farmers are currently paying about Rs 5,000 crore as insurance premium to cover their kharif and rabi crops. The farmers’ burden will reduce if the premium is further subsidised.